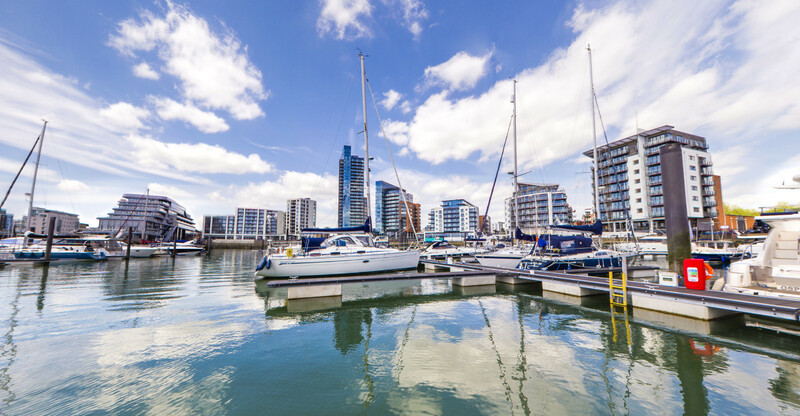 Have you considered investing in the Southampton property market? Many people have. There’s lots of opportunity here, with a range of different properties available to buy or let. Before you do, however. It’s a good idea to gain an understanding of the local market. So we’ve put together a brief guide - looking at current housing prices, the types of properties, and more. We’ll also explain how Hunters can help you achieve your goals. Whether you’re looking for a place to live, or somewhere you can rent out to tenants. It’s not as complicated as you think. Southampton is based down on the south coast, next to the New Forest and just a short drive from the former capital city, Winchester. There are fantastic transport links in the city. There is a mainline railway straight to London, taking an average of an hour and a half to get to the capital. In addition to the railway, Southampton airport has routes all over the U.K. and Europe and we are home to the busiest cruise port in the country! What to do in Southampton? Southampton has a lot to offer on the entertainment front. For sport fans, we are the home to both Premier League football club Southampton F.C. and just outside the city you will find the Ageas Bowl, home of Hampshire Cricket Club. If you’re into sailing the River Itchen plays host to many sailing events throughout the year! Southampton has a long and rich history, and the museums to match. If you love your military history then take a look at the Solent Sky Museum. The museum boasts an impressive selection of planes, but what makes this all the more impressive is that Southampton is where the first Spitfires took off from! If you prefer maritime history, Southampton’s SeaCity Museum might be your new favourite place. Alongside their impressive Titanic displays, there are interactive features, games and a picturesque cafe. What more could you want? The city is littered with historic buildings and gorgeous parks, but if you feel like going a little further out, there’s also plenty to do and see. For The whole family can enjoy the Oasis Down to Earth Farm or explore the treetops at Go Ape, and when the little ones are exhausted there’s plenty to do in the evenings. With an extensive range of independent restaurants and bars, you’re spoiled for choice. Whether you’re craving the traditional ales served at The Butcher’s Hook or live music and comedy at places like The Talking Heads, you’ll never run out of places to see. The Mayflower Theatre has a long, rich history and attracts many top shows. There is something for everyone! Zoopla figures show the average price paid for a property in Harborne over the last 12 months was £285,806. This is significantly higher than over the last 5 years, when the price was at £253,217 indicating steady growth in the city. You will find a wide range of prices in the city, with luxury 6 bedroom homes for £1,650,000 all the way down to 1 bedroom apartments for £56,000. There are also luxury apartments for £700,000 in the prestigious five-star marina, Ocean Village. You will struggle to find a wider range of properties than those in Southampton. The city has several different areas, all offering a different type of living. From luxury, marina living in Ocean Village to student accommodation in The Polygon and Portswood. We have everything, including apartments, terraced, semi-detached, detached, luxury penthouses, townhouses, there is something to suit every person and every budget. Hunters in Southampton are based at 35 Bedford Place, right in the heart of the city. Our staff have a combined experience in excess of 50 years, the majority of which has been in the Southampton market. If you are looking to sell, buy, rent or let out a property, we have the right staff member for you!